If you're looking for a unique way to say "I do," consider having a destination wedding in an exotic locale surrounded by your closest friends and family members. If you're looking for a unique way to say "I do" while surrounded by your closest friends and family members, a destination wedding in a romantic location is ideal. 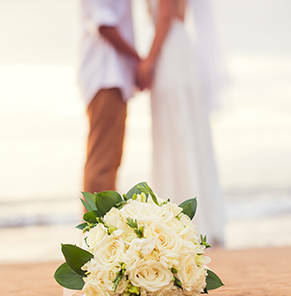 Having a destination wedding allows you to exchange vows in a stunning paradise. Whether you envision your ceremony on a white-sand beach, atop a cliff overlooking the ocean, within a blooming garden, or surrounded by mountains, the options for destination wedding locations are as limitless as your imagination. Destination weddings can be as lavish or simple as you desire and there are endless options to fit all budgets, from a luxurious reception in a ballroom to a casual beach party. Destination weddings allow couples to have intimate celebrations with just a few guests or a larger wedding with as many as 200 friends and family members. A destination wedding allows you to spend quality time with your guests in a relaxing setting over three or four days, making memories for years to come. Destination weddings are typically less expensive for couples than traditional celebrations, as guests usually pay for their own travel and accommodations. We look forward to making all of your wedding dreams a reality. Our award-winning, Certified Destination Wedding Specialists have planned over 20,000 successful destination weddings in 42 countries. 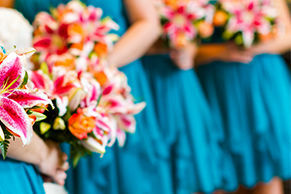 DestinationWeddings.com has been internationally recognized as the industry leader in planning personalized destination weddings. 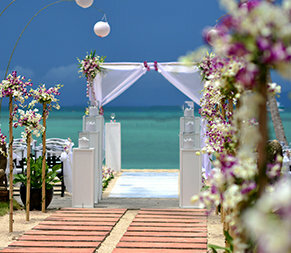 Creating personalized celebrations with outstanding service is what DestinationWeddings.com has perfected. For more information about DestinationWeddings.com, call us Monday to Thursday from 9:00 am to 8:00 pm EST, or Friday from 9:00 am to 7:00 pm EST and speak with one of our customer service representatives.